For this project, Mike put together a CMS web site for Letters from Pluto; an independent pop/rock/electronic artist from Edmonton, Canada. His mission: Design a modern space-themed website to enforce Letters from Pluto’s unique brand and music style. Space themed visuals are used throughout the site to accomplish this goal. 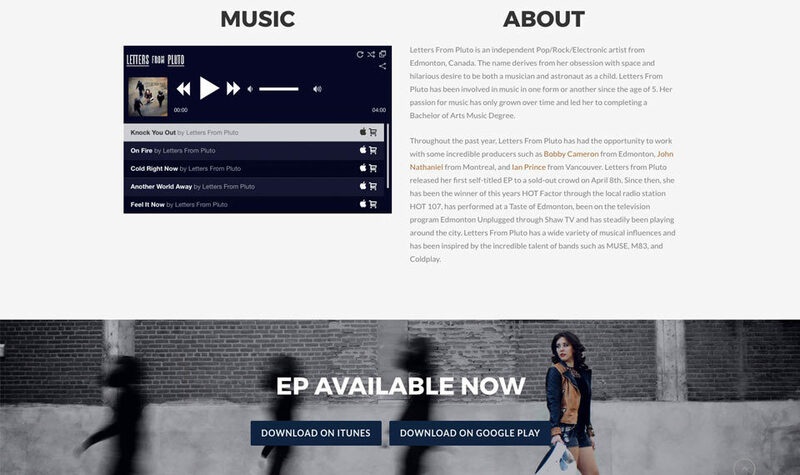 The site includes a built-in music player so fans can immediately hear the band’s music with a single click. The site also includes an online store so fans can purchase band merchandise and CDs. 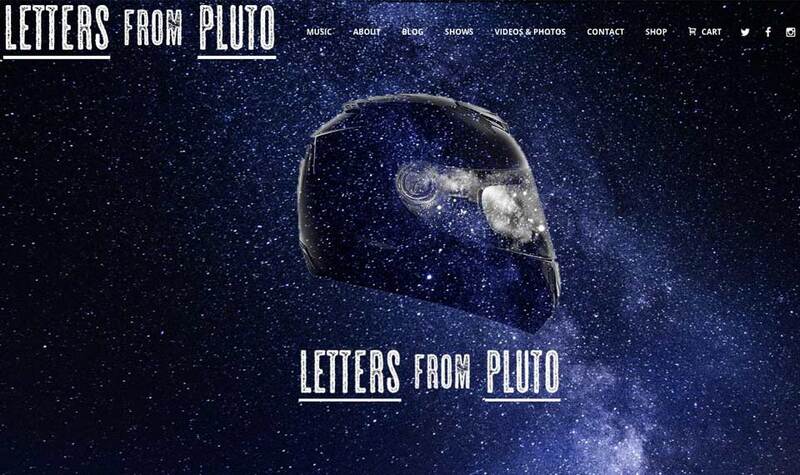 This site helped Letters from Pluto receive government grants to help create more music. Letters From Pluto won the 2016 Hot 107FM hot factor contest!